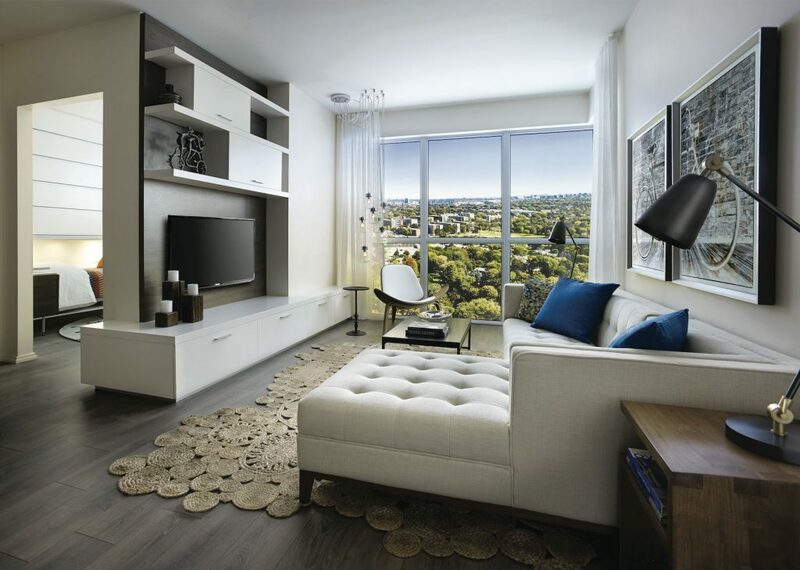 With its stunning vistas, modern interiors and direct access to downtown, The Ravine is gearing up to be one of the most sought-after developments in North York. 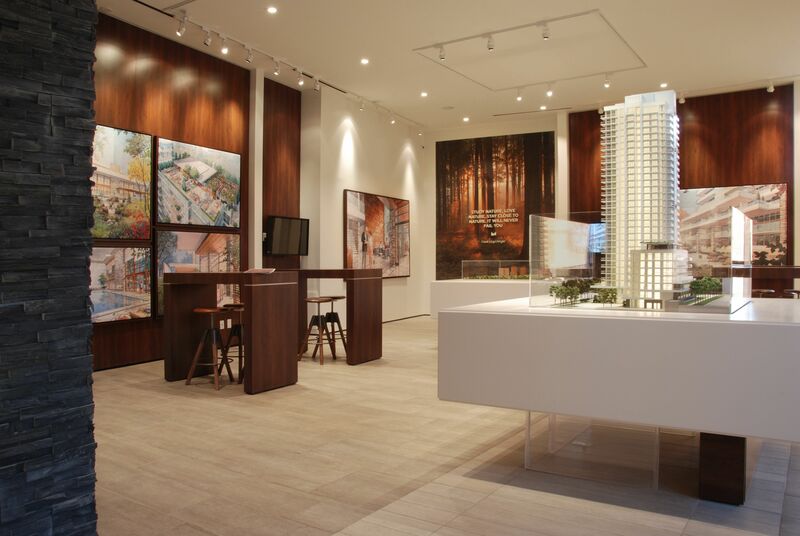 The first photos of The Ravine’s well-appointed sales centre and model suite have been unveiled prior to the grand opening event in May. The Urban Capital and ALIT master-planned community is situated in a “spectacular, natural setting” abutting 980 acres of protected ravines and parkland, according to Mark Reeve, founding partner at Urban Capital. Phase One of the project is a 29 storey glass and aluminium tower with 336 units. Plans range from 455 square foot one bedroom units to sprawling, 1,500 square foot three bedroom plus den units that are suitable for growing families. Prices start from the mid $200,000s. “With a location like this, I think we’ll attract a real cross section of demographics. 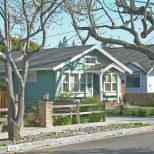 We’re anticipating quite a few empty nesters from the neighbourhood — many of the area homes were built in the 50s and 60s, so there will be a lot of people ready to downsize. 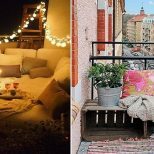 There are also a number of first time home buyers coming out of apartments in the area as well as some investors. We’re hoping to have quite a mix,” said Reeve. 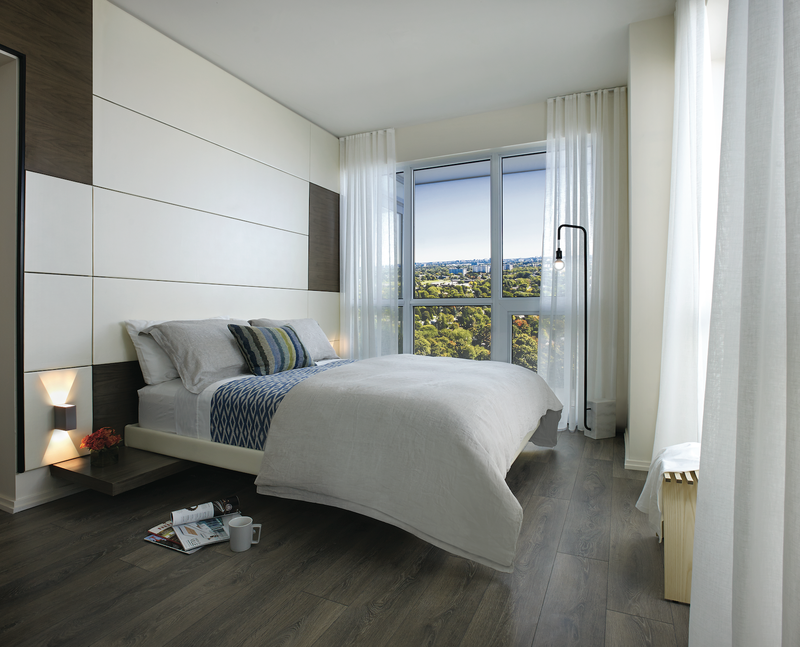 The Cecconi Simone designed suite interiors will feature wide plank laminate wood flooring, custom designed kitchen cabinetry, stone countertops, stainless steel appliances, frameless glass showers, track lighting and balconies or terraces. 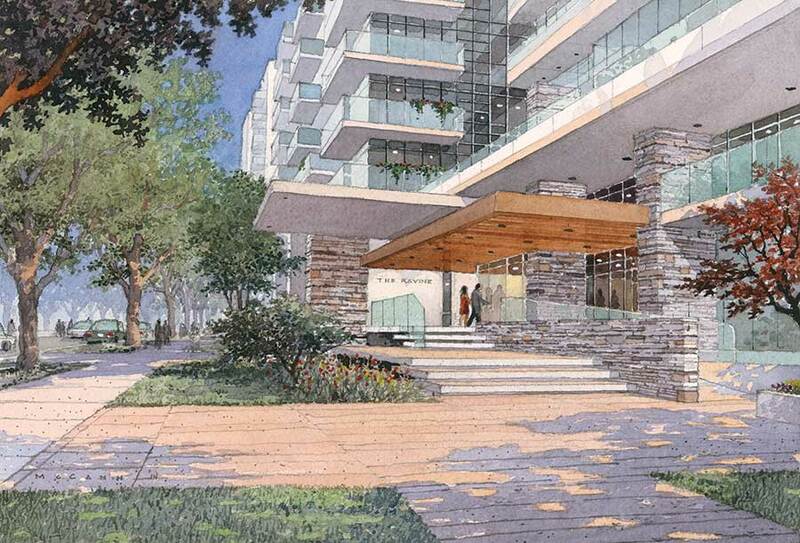 The Ravine will offer an exceptional array of amenities, including a fitness centre, golf simulator, pet washing station, bicycle repair area and a party room with a kitchen, lounge seating, dining area and wet bar. There will also be two outdoor terraces — the ground floor features a fireplace, flatscreen TV and a water feature, while the rooftop terrace will be equipped with barbecues, a sun deck, yoga studio and al fresco dining areas. 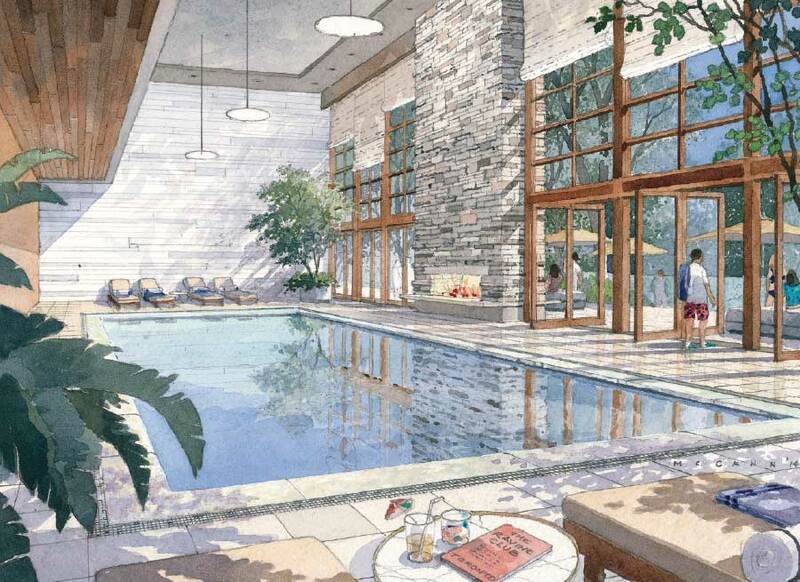 Phase Two of the development will bring about The Ravine Club, to include an indoor swimming pool, outdoor terrace, fitness centre and lounge. “The cool thing about the Ravine Club terrace is that you are at tree canopy sight line — there’s a nice vibe to it,” said Steven Barr, development manager at Urban Capital. “Think of the 19th hole at a nice golf club, that’s what it’ll look like — that’s the idea,” agreed Reeve. 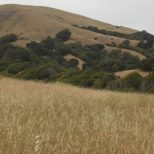 The surrounding area is replete with parks, schools, grocery stores, restaurants and services. 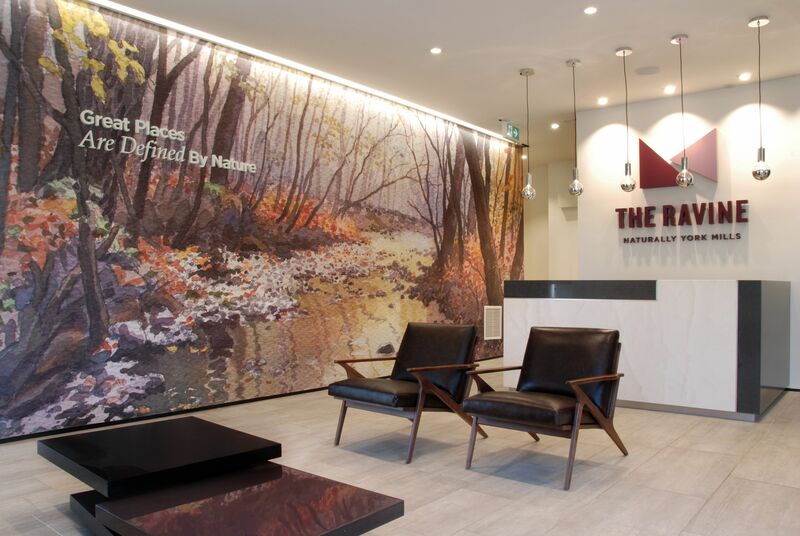 The Ravine offers almost direct access to the Don Valley Parkway and Highway 401 — it’s just a 20 minute drive into downtown Toronto. For those who prefer to take public transit, the TTC Downtown Express bus to Union Station will stop right outside the development. 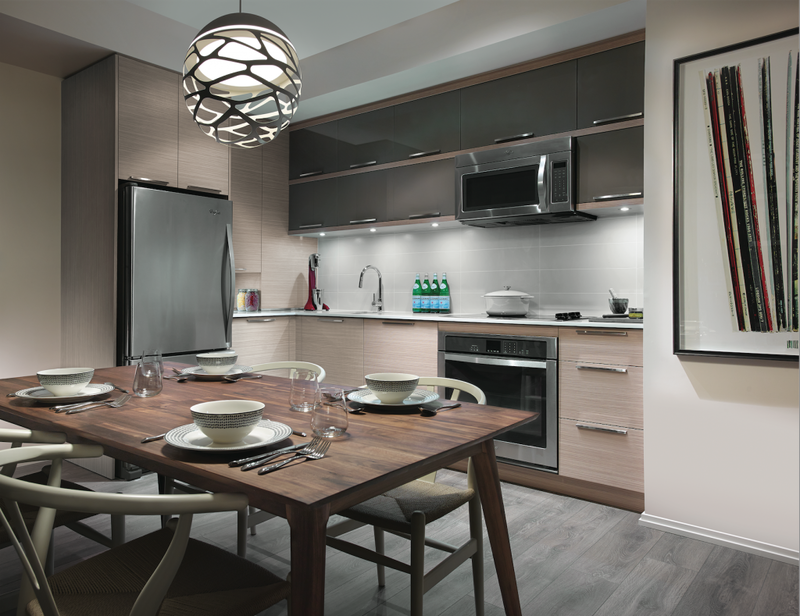 The Ravine sales centre is open for walk ins and by appointment from Monday to Thursday, noon to 7pm or on weekends from noon to 6pm. The grand opening will take place on Saturday, May 23rd and Sunday, May 24th. Don’t forget to register online to receive exclusive updates on the development.